With approvals to supply tungsten heavy alloy components to a number of principal aircraft manufacturers, Wolfmet is recognised as one of the World’s leading aerospace tungsten providers. Primarily used as balance weight where space is a premium, Wolfmet components can be produced in small runs of bespoke items or large quantities for long production runs. Wolfmet is manufactured in accordance with AS9100 and to the latest industry standards for the manufacture of tungsten alloy. Our production facilities ensure rigorous levels of traceability and quality control for our customers, in all aspects of manufacturing and supply chain. With approvals to supply Wolfmet tungsten heavy alloys to a number of principal aircraft manufacturers, we are recognised as one of the World’s leading aerospace tungsten providers. There are many areas in an aircraft where the precise placement of extra weight is required. Extra mass in the right location provides vibration damping for flight controls in the form of balance weights, static and dynamic balancing of rotor blades and propellers, and ballast when needed. 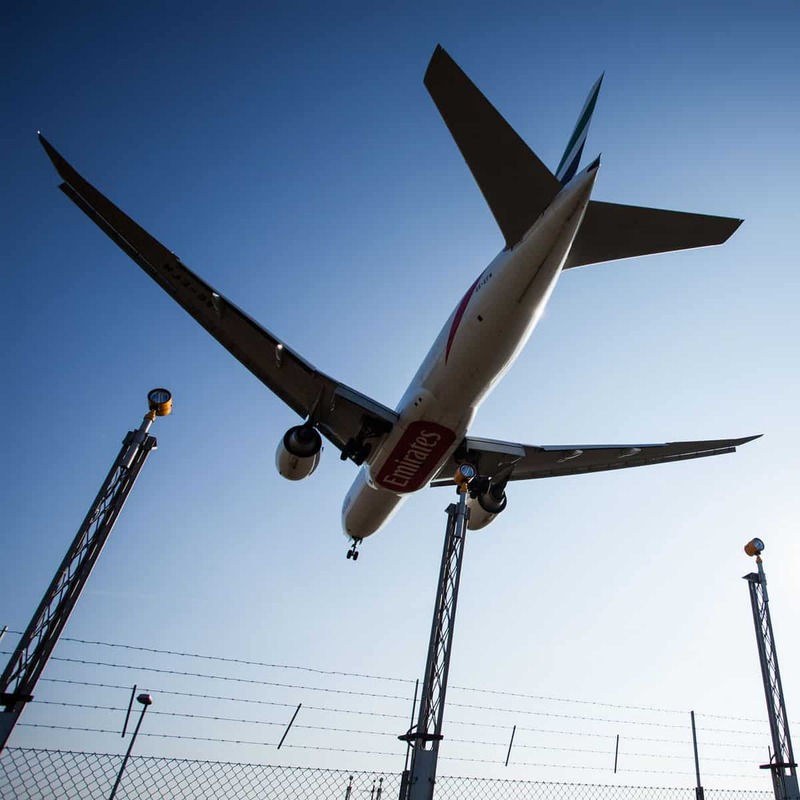 Wolfmet tungsten heavy alloy is ideally suited to aircraft applications because it has very high density, which allows for the smallest possible weights. This attribute can be particularly valuable in situations where a large mass has to be contained in a confined space and can ultimately reduce the amount of weight used by where it is positioned. Wolfmet is also a highly durable, long lasting material so it will withstand the harshest operating conditions. In addition, Wolfmet is non-toxic, unlike other high density materials that have been used in aerospace, such as depleted uranium and lead. Wolfmet components include balance weights, ballast weights, blade weights, anti-flutter weights and bucking bars. For more specific information about Wolfmet aerospace metals for the UK, USA and Worldwide, please contact us today – [email protected]. 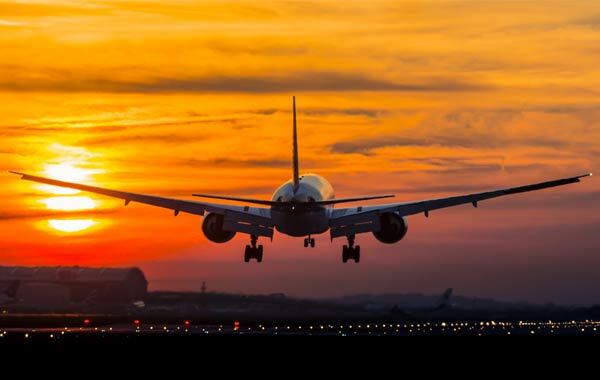 Due to very high safety standards the aerospace industry requires rigorous levels of traceability and quality control in all aspects of manufacturing and supply chain. Customers can be assured that we meet all the needs of this particular industry, by having excellent production facilities, which are fully accredited to AS9100 D, ISO 9001 and ISO 14001. In addition, Wolfmet has over 50 years of experience producing high quality tungsten components; we have the expertise to machine these parts to very tight tolerances, meeting a broad range of customer requirements. Wolfmet alloy components can be produced in small runs of bespoke items, or large quantities for long production runs. Customers have the option to buy either finished components or raw tungsten blocks for final machining themselves. 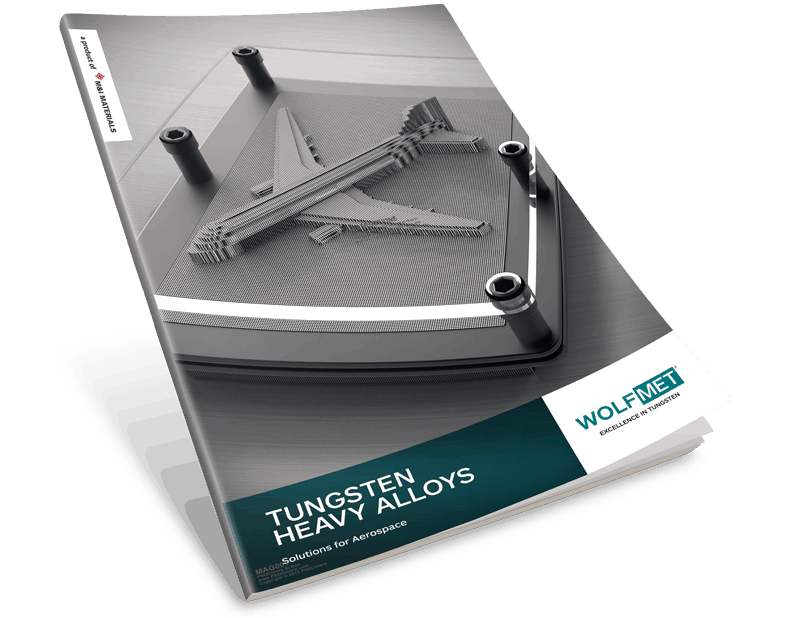 Download are latest brochures now – Tungsten Heavy Alloys – Solution for Aerospace. For more information about Wolfmet or how we can help you with your project, please contact us via [email protected] or talk to us today by calling +44 (0)161 864 5454.